The Great Bay National Estuarine Research Reserve worked with partners to run the Sea Level Affecting Marshes Model (SLAMM) for the NH coastal watershed. 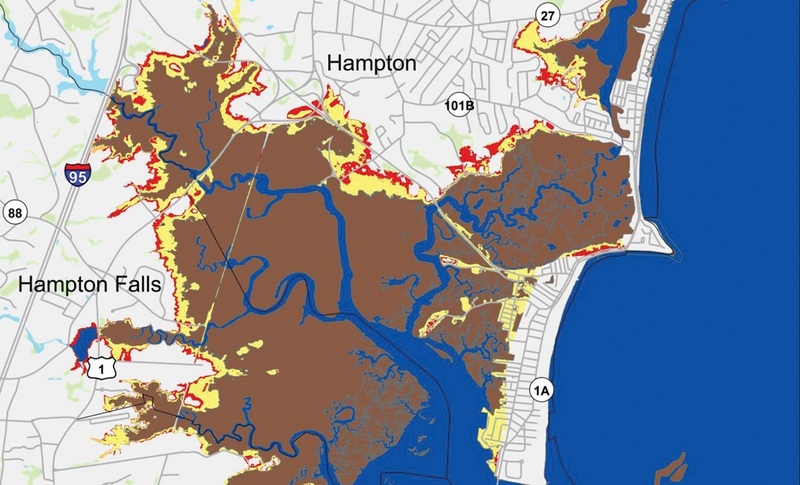 Results and their implications were discussed in dedicated meetings with municipal officials from Portsmouth, Dover, and the Hamptons-Seabrook Estuary Alliance. Sediment Elevation Tables were monitored and measured by University of New Hampshire researchers and data was incorporated into the modeling effort.